Top 3 Indies Videos 7/21/18! Taleen Kali, Fabulous Johnk Wray (Jpn), The Blankz, IDestroy! 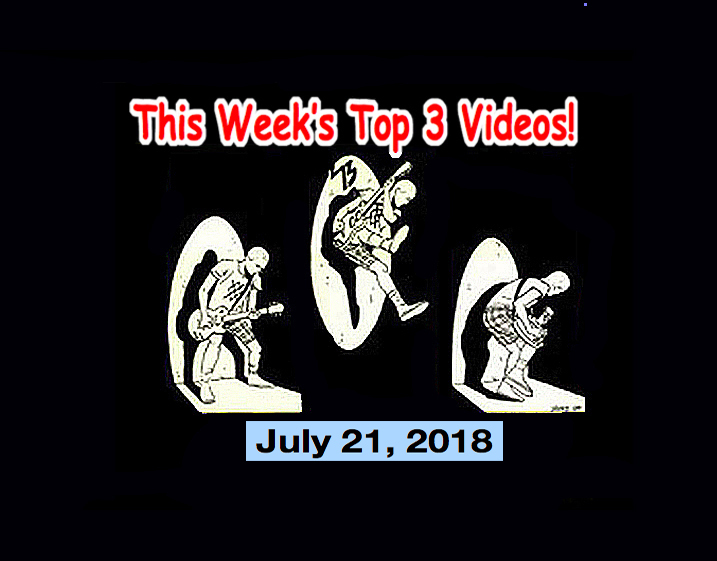 It’s time once again for the Top 3 Indies Artist Video Countdown for July 21, 2018! Starting us off today is an artist from Los Angeles that Alex Kish from the Mighty Wassup Rocker Radio Show turns us onto, Taleen Kali! For me, in a nutshell, Taleen Kali is kind of like a Pop Siouxsie and the Banshees (sort of). Taleen Kali plays cosmic femme punk in Los Angeles. I LOVE THIS!!!! This is one of the most exciting new acts I’ve seen in 2018!!!! It’s FAB! The Blankz turn us onto some cool Pop Punk with “White Baby” which I hear is a true story on the life of their lead singer. At #1 this week is a new band that we introduced on last week’s countdown and has been getting a GREAT reaction on my FM radio show, The Mike Rogers Show every Sunday morning… (Mike Rogers Show – every Sunday from 5 am ~ 7 am. You can listen live on InterFM 897 in Tokyo, Radio Neo 79.5 in Nagoya or nationally broadcast (and On-Demand) on radiko.jp). SPOTLIGHT ARTIST! Today’s spotlight goes to a guy in Japan (Tokyo, I’d guess, but I don’t know.) His name is the Fabulous Johnk Wray. I stumbled upon this and thought, “This is so definitive Japanese Rock n Roll that this guy should be famous!” So, I thought I’d spotlight him today. Like I said, I don’t know anything about this guy excepting he’s got the look, the madman idea, and he must be crazy! Cool! His bio says: “Wild! Trash! Cult Garage Rocker! !” Is there any more information that you’d need? 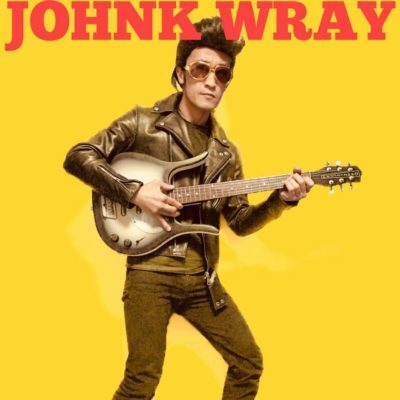 The Fabulous Johnk Wray!!! Is that cool or what??? ?